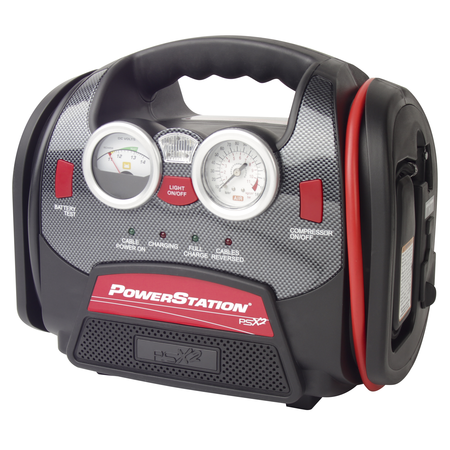 Looking for a high-octane, easy to use, compact portable power unit at an amazing value to help drive your outdoor activities? The PSX2 is your solution, and then some! 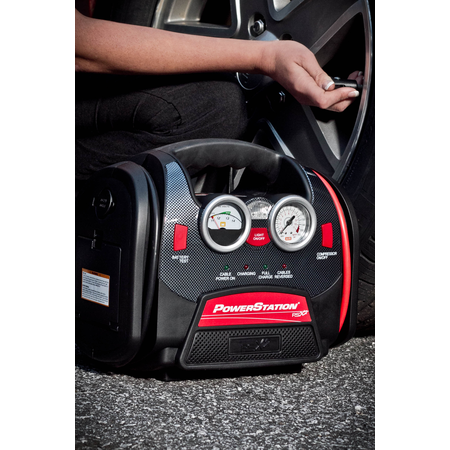 This powerful jumpstarter contains an extra high power battery and provides over 1000 Peak Amps of advanced car-starting capability. 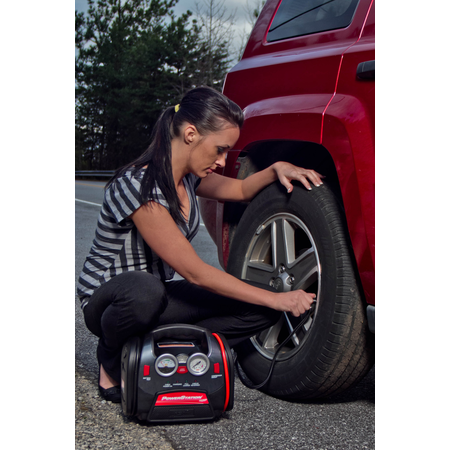 This unit is perfect for roadster who never wants to be left stranded with a dead battery, and can be used to complete a variety of tasks within any outdoor environment. 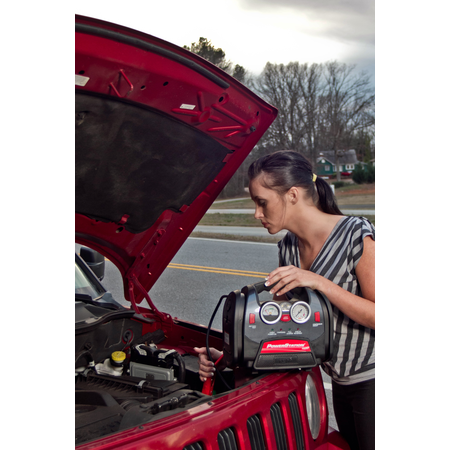 The high power air compressor is essential for road trips, and is able to fill up a vehicle’s flat tire in seemingly no time at all. 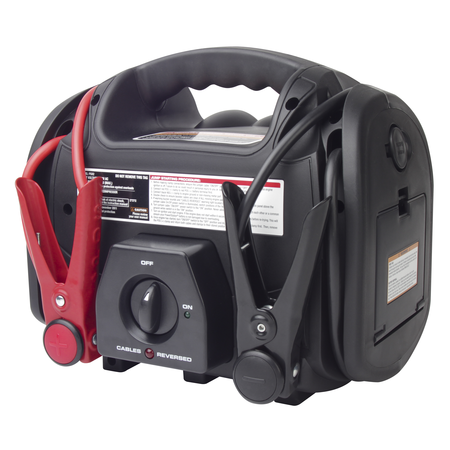 You will also enjoy the 12V DC outlet which provides the ultimate convenience when keeping your cell phone and other electronics running at full capacity. You will always know the status of the PSX2 battery thanks to easy-to-understand LED indicators, and in turn, you will always know when the automatic internal charger feature needs to be put to good use! The PSX2 comes with a 4’ DC to DC Power Transfer Cord, an extension cord for easy charging into a wall outlet, and the necessary needle accessory to inflate standard sporting balls.